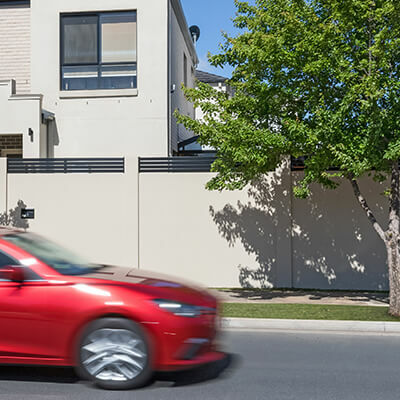 Tested by the National Acoustic Laboratory of Australia, ModularWalls’ range of residential and commercial acoustic fences and noise barriers have been specifically engineered to provide superior noise reduction. 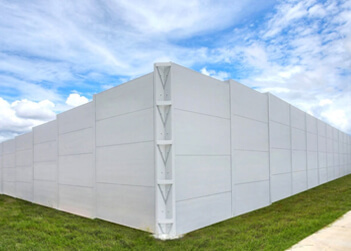 Our AcoustiMax acoustic fencing and noise wall solutions typically reduce the transmission of noise by up to 25+dB, or reducing noise up to 4 to 5 times. For high performance acoustic attenuation, our AcoustiSorb noise absorption panels offer a typical noise reduction of up to 40dB and an NRC rating of >0.9. 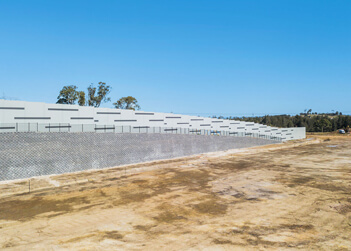 For industrial, road, rail or civil infrastructure projects, our highly impact-resistant EnduroMax noise barrier panels offer an average Rw rating of 33. For more detailed test results, download our Acoustic Field Test and Airbourne Sound Transmission Test. 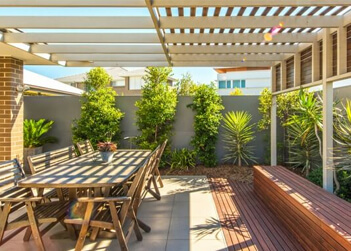 Transform your home into a peaceful oasis and reduce neighbourhood and traffic noise with our acoustically-rated fencing systems. 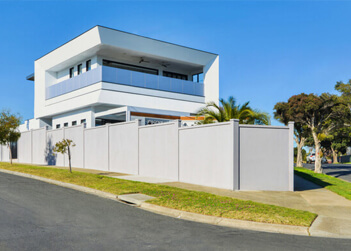 Our residential and commercial acoustic barriers ensure high performance and peace of mind for designers, builders, developers and homeowners alike. Our revolutionary AcoustiSorb panels offer an astounding NRC rating of >0.9, and can be utilised for noise absorption walls, enclosures, ceilings and more. It's time to hit 'MUTE' on traffic noise, lawnmowers and the neighbour's heavy metal album. We've got expert tips to reduce backyard noise and invest in your peace and quiet! Blocking road noise is one of the most common noise reduction requests that clients approach us with. Find out the 3 key elements to specifically blocking traffic noise in your home, today. 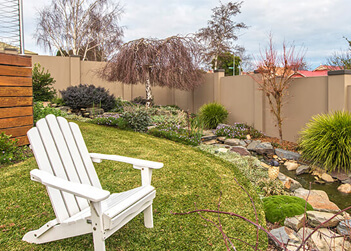 This guide will help you identify your specific noise reduction needs, with tailored advice on which acoustic fencing solution is right for each noise problem. 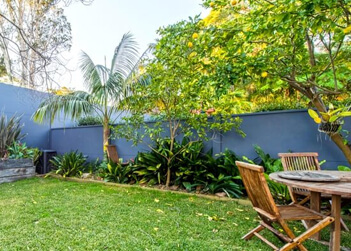 With small backyards, every cm² counts…so make every single one beautiful and serene with SlimWall acoustic fencing. 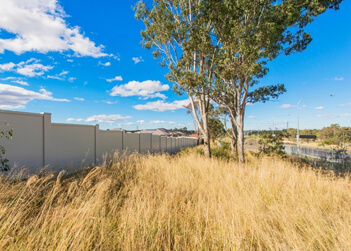 Australian products for Australian landscapes; check out how VogueWall halved the cost of a stylish road noise wall for a peaceful community surrounded by sweeping Aussie plains. Children are wondrous, heart-warming....and downright loud. 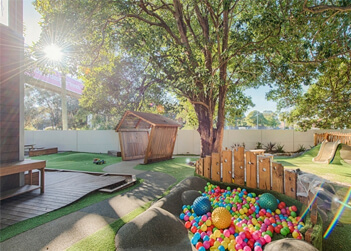 Find out how this SlimWall fencing system offered a dual purpose acoustic barrier that kept the traffic noise out, and the playground noise in. 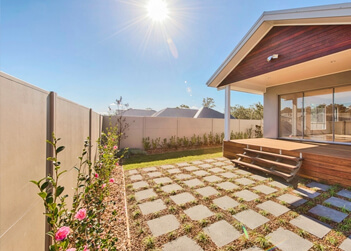 A new estate utilised ModularWalls’ SlimWall modular fencing, with integrated retaining walls, across their entire community development. 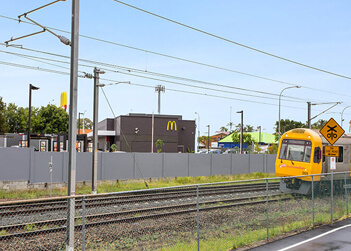 An acoustic wall, utilising AcoustiMax75 panels within a VogueWall system, exceeded the acoustic attenuation requirements for McDonald's at Sandgate, which borders a train line at the rear. 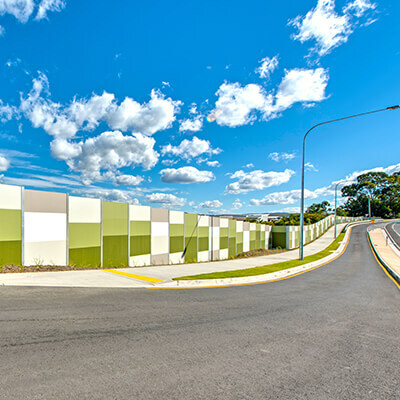 ModularWalls' custom designed acoustic barrier assisted Coles Ashmore, QLD, with shielding neighbouring residents from traffic noise, whilst delivering superior aesthetics in lieu of the Commonwealth Games. 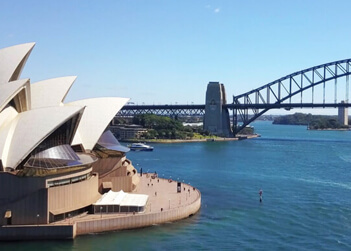 Australian products for Australian landmarks; ModularWalls were honoured to have their AcoustiSorb sound absorption panels chosen for noise attenuation projects within the Opera House and on the Harbour Bridge...simultaneously. 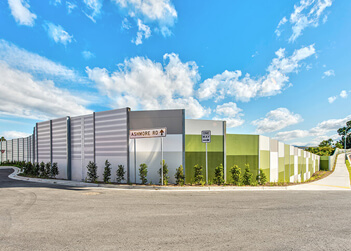 A brand new industrial estate in Eastern Creek chose the AcoustiMax sound barrier, boasting superior sound attenuation panels with aesthetic versatility. 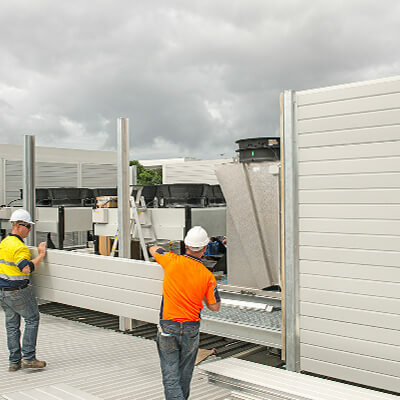 To protect their residents from the noise of Townsville Ring Road, Urbex required a QLD MRTS15 compliant noise wall that overcame the environmental conditions of high winds and floods. With its pre-approval, EnduroMax was the clear choice. GET STARTED ON YOUR NOISE REDUCTION PROJECT TODAY!